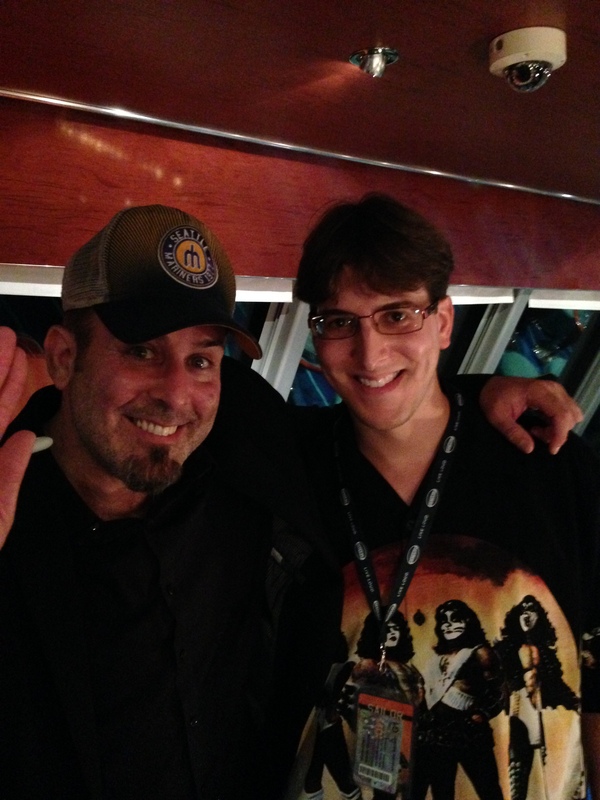 Meeting KISS on KISS Kruise III. 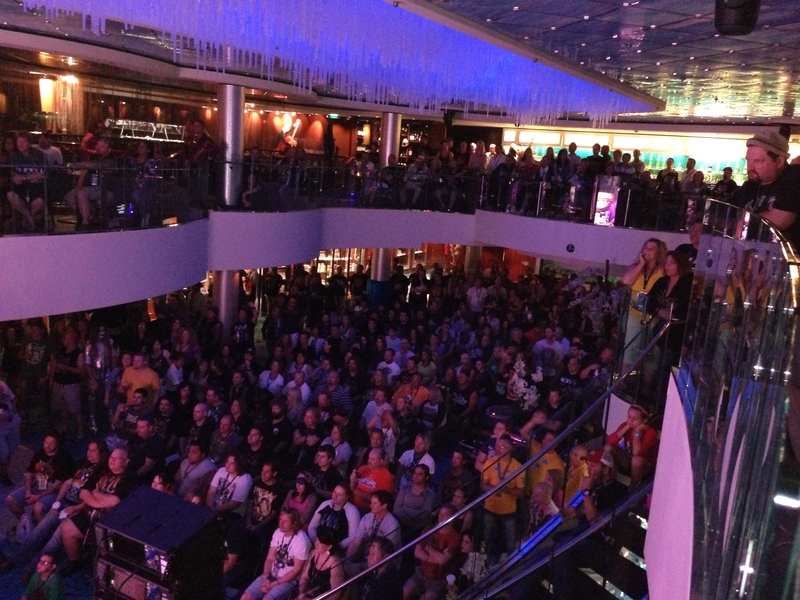 I’m now home from KISS Kruise III, my first cruise and, of course, my first vacation with KISS. Simply stated, it was an excellent trip that exceeded my expectations. Below is a day-by-day run down of all the crazy fun that took place during my vacation – including a plethora of photos and videos for your viewing pleasure. Enjoy! 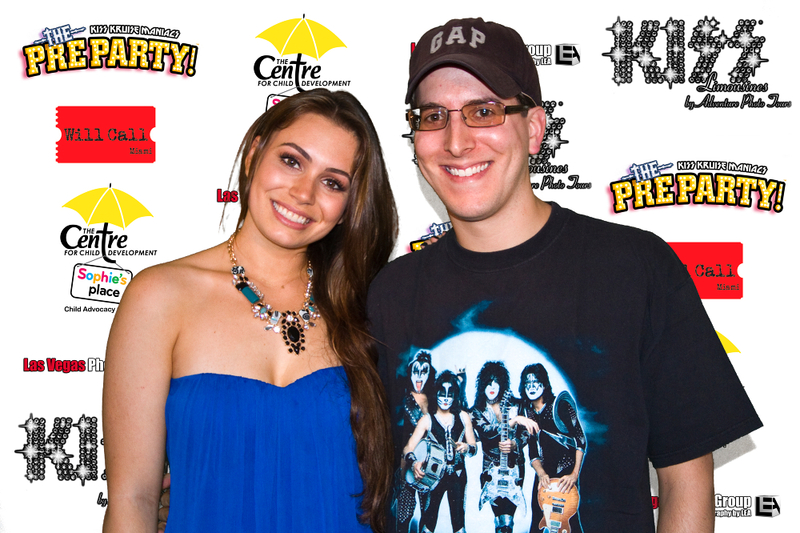 Meeting Sophie Tweed Simmons at The Pre-Party. 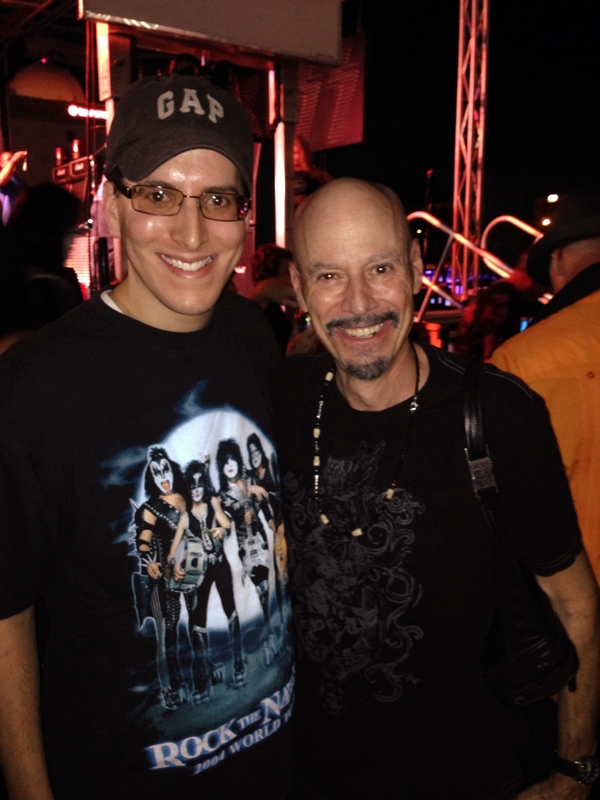 Meeting the exceptionally talented KISS studio musician, Bob Kulick, at The Pre-Party. Day one of KISS Kruise III was kicked off with an acoustic, unmasked concert by KISS. As you’ll see in the clips below, KISS sounded awesome and was in great spirits. 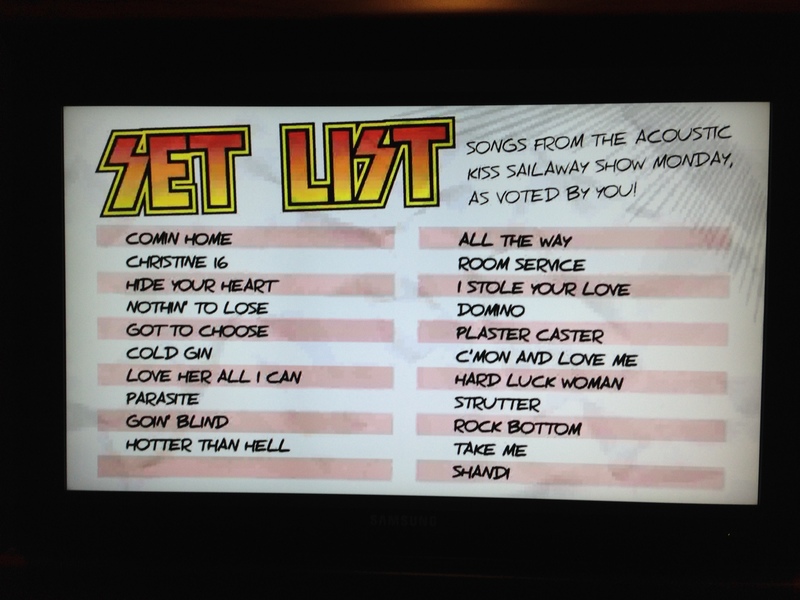 Below is a photo of the planned set list but the fans were yelling out additional songs, and KISS wasn’t afraid to shake things up, which made for an intimate and unpredictable show. 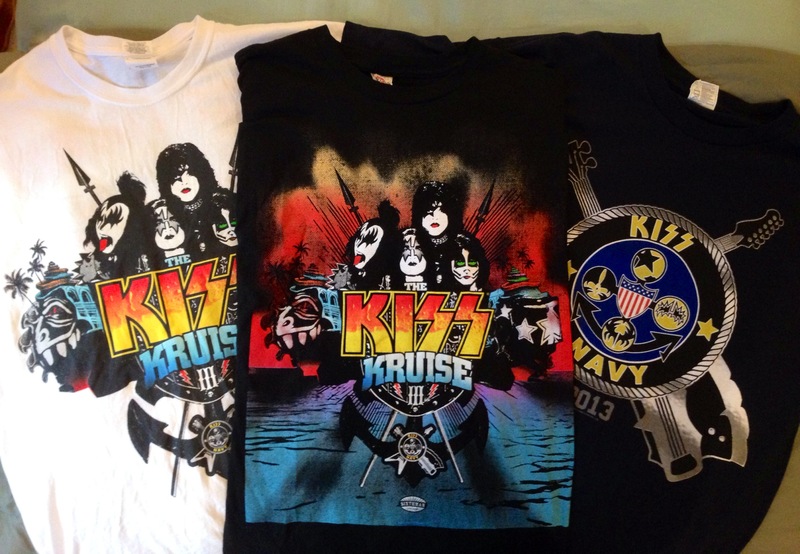 KISS fans love merchandise, so I headed straight for the store on ship after KISS’ concert. At first, I bought one t-shirt but then I quickly succumbed to the urge to buy two more. I think all three (see below) look great. Aside from t-shirts, there were beach towels, autographed photos, drumsticks, etc. for fans to buy – and buy they did. By the end of the cruise several of the items were sold out. 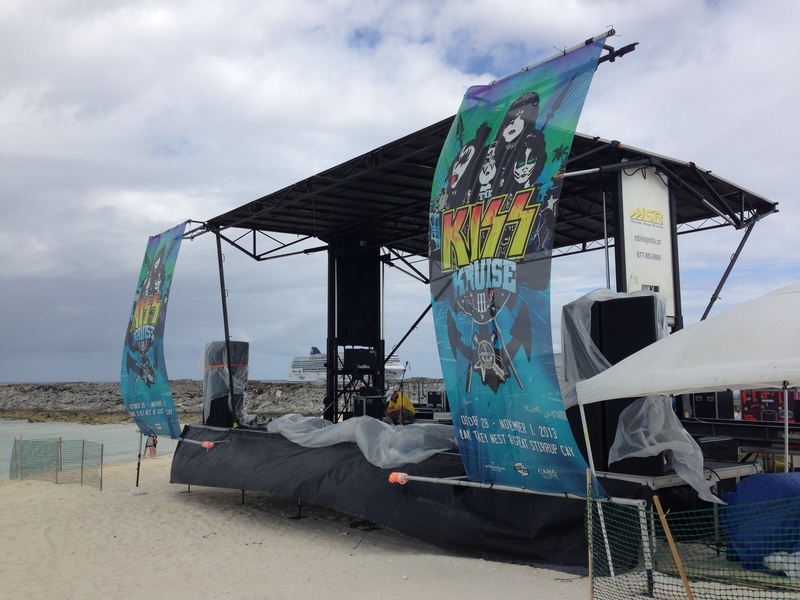 In addition to KISS, there were multiple concerts happening the first night, including shows by Vintage Trouble, Leogun and a midnight performance by PRISS – the all-female KISS tribute band the fans voted to be included on KISS Kruise III. While I didn’t catch every act on Monday night, I did see these three and I was most impressed by Vintage Trouble, a fantastic new band that’s best described as a fusion of classic rock and R&B. Below are a couple songs from their debut album, The Bomb Shelter Sessions. When I awoke on the second day, the boat was docked at the port in Key West, Florida. 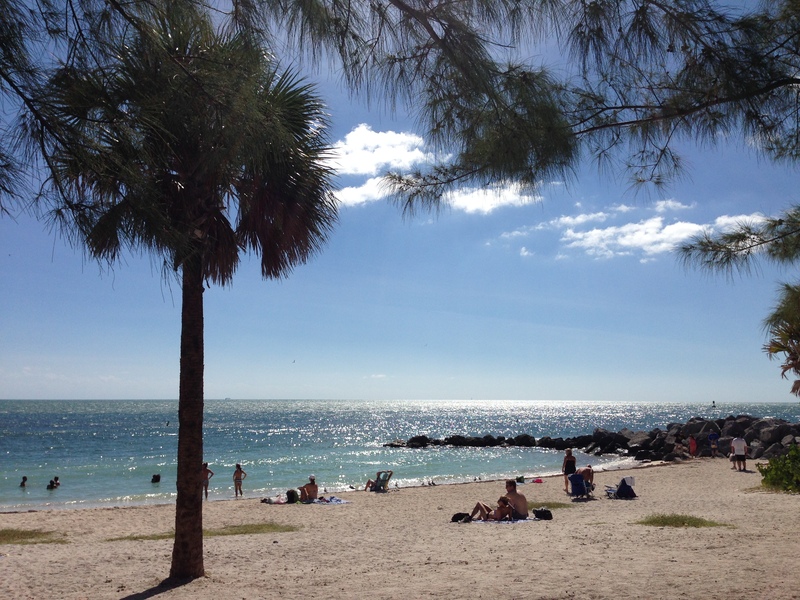 Having heard only good things about Key West, I quickly grabbed breakfast and headed for the beach, which, as you can see from the photo above and video below, was gorgeous. In the future, I’d love to come back to Key West so I can spend several days exploring what it has to offer. 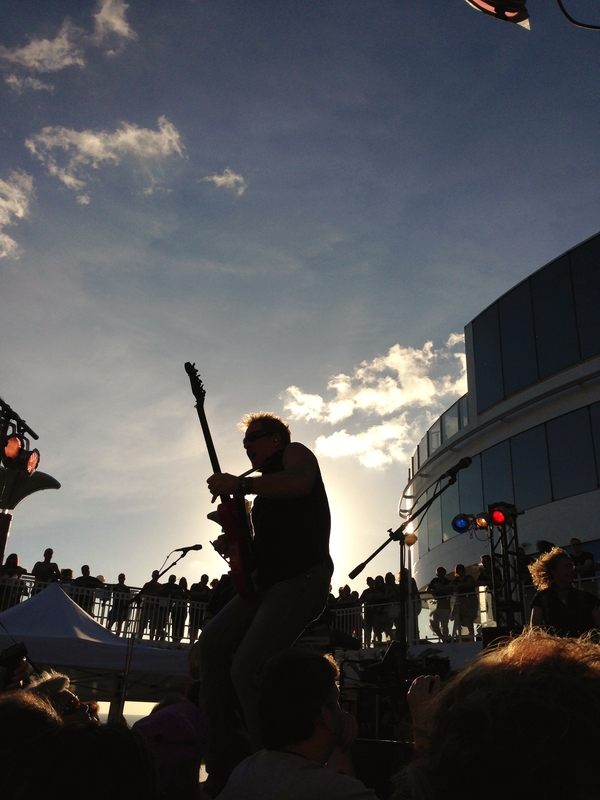 Night Ranger’s lead guitarist, Brad Gillis, rocking out on KISS Kruise III. When I returned to the ship, I cleaned up, got something to eat and headed to the Night Ranger concert. My cabin mate, Carey, loves Night Ranger, so he was pumped for the show. At the time, the only song I knew by the band was Sister Christian, which I thought was overplayed. Nevertheless, I went with an open mind and hoped for the best. I was delightfully surprised by the guitar-heavy performance and lead singer’s (i.e., Jack Blades) excellent stage presence. In addition to the hits, Night Ranger performed a couple songs by Jack Blades’ former supergroup, Damn Yankees. The band also did Crazy Train by Ozzy Osbourne since Night Ranger’s lead guitarist, Brad Gillis, used to be in Ozzy’s band prior to joining Night Ranger. My favorite song from the set, which I’ve included below, was “When You Close Your Eyes,” a fantastic, upbeat ballad I kept singing hours after the concert ended. While checking out the ship after the Night Ranger concert, I came across the body paint artist who was busy at work painting hordes of KISS fans so they looked like their idols. As you can see from the photo below, one woman took body paint to another level by having the name of a KISS song, “Strutter,” painted across her chest. With a KISS fan who decided to show her support for the band through body paint. KISS performed the first of its two indoor, in-makeup concerts and Carey was headed to the show. My ticket was for the following night, so I, along with the other fans who were seeing the second show, congregated in the Crystal Atrium to watch a simulcast of the concert on a large digital screen. Fans in the Crystal Atrium watching a simulcast of the first indoor KISS concert. Day three was a big day. I met and had my photo taken with KISS and got to see the band perform. 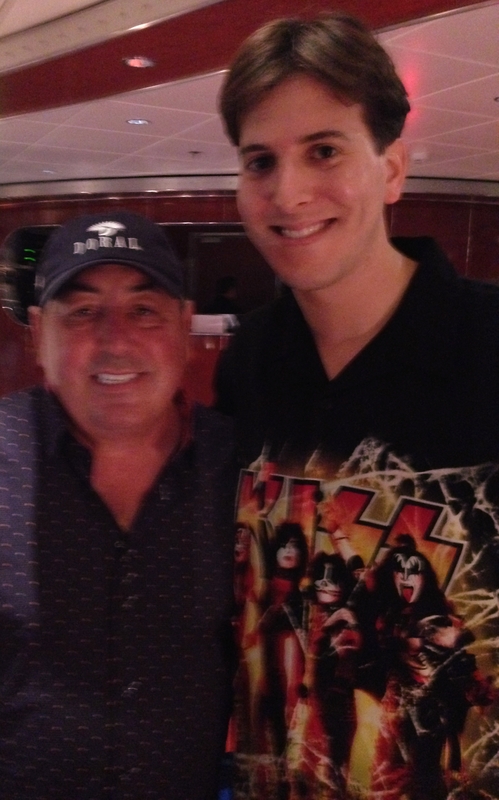 I also met the band’s manager, Doc McGhee, an icon in the music industry who’s managed everyone from James Brown to Mötley Crüe. In addition to meeting Doc, I had the chance to ask him a question during his Q&A session on the pool stage (see the video below). Meeting KISS was very cool but, as expected, it was a rushed affair. With thousands of people on the boat that need to get their photo with KISS, the staff needed to keep things moving swiftly. 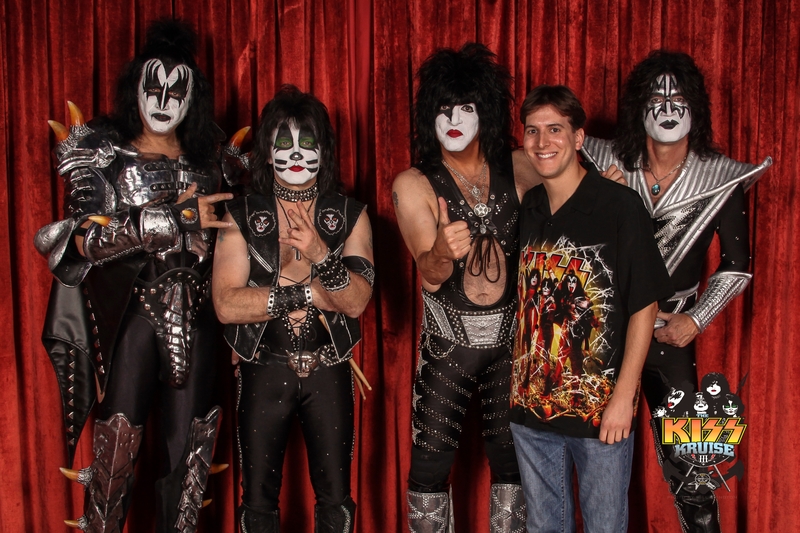 I got a photo with the band 10 years ago when I met them at a meet-and-great for the release of the KISS Symphony: Alive IV album, so I knew what to expect. That said, I think the organizers of the cruise should extend the amount of time people have with the band to make it a more personalized experience. I’m sure many fans would forgo other activities to make this happen. Being fully prepared for a brief encounter with the band, I made sure my hair was perfect and thought long and hard about where to stand when I got to the front. Since I’m tall, I decided not to stand in the middle, where I would, more than likely, block the drummer’s face. Instead, I headed straight for my favorite band member, Paul Stanley, put my arm around him, and gave the cameraman a big smile. Thankfully, the end result was a great photo that I’ll treasure for years to come. The set list from the indoor, in-makeup KISS concert I attended. 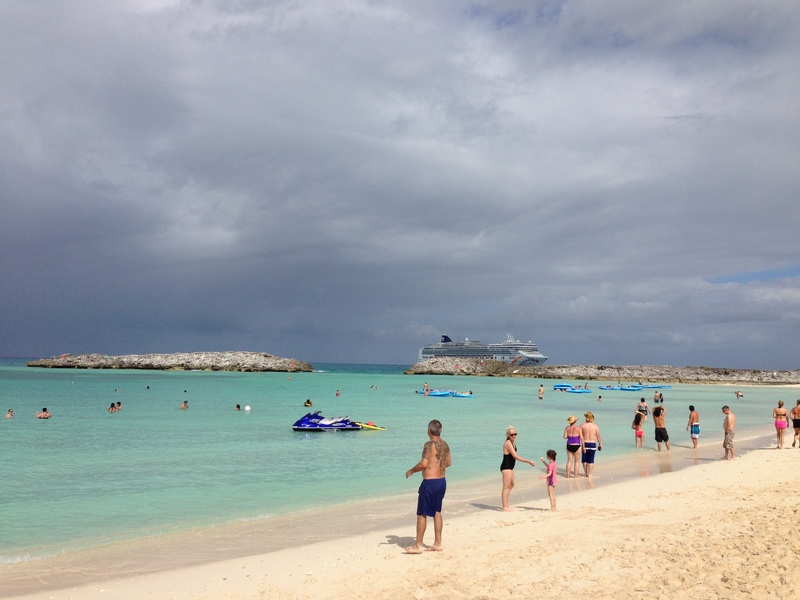 On the last full day of the trip, I woke up in the Bahamas – Great Stirrup Cay to be exact. Despite it being an island owned by the cruise line, it was a beautiful destination with white sand and gorgeous water. Even better, a stage was set up on the beach so everyone could enjoy live music while basking in the sun or floating in the ocean. Both bands, Radiolucent and Big Rock Show – a classic rock cover band – kept the day lively and enjoyable. This may have been the most relaxing part of the entire trip – I loved it. Meeting the hilarious Craig Gass. Night Ranger capped off the trip with a blistering performance, and KISS’ lead guitarist, Tommy Thayer, joined the band for its final number, “(You Can Still) Rock In America.” And since it was Halloween, many of the fans in the crowd were dressed up in a variety of outfits – everything from Smurfs to Freddy Krueger. 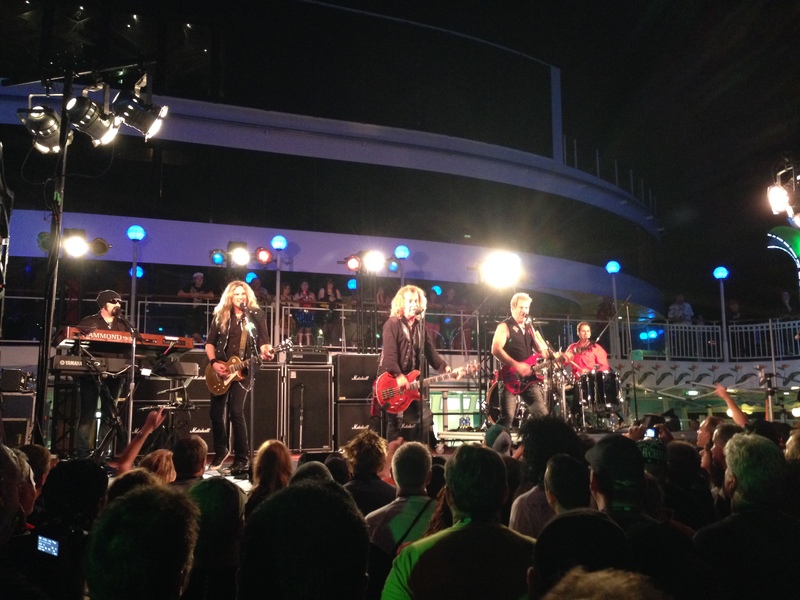 Night Ranger performing on the last night of KISS Kruise III. KISS Kruise III was an excellent vacation that’s best described as an annual music festival on a ship. 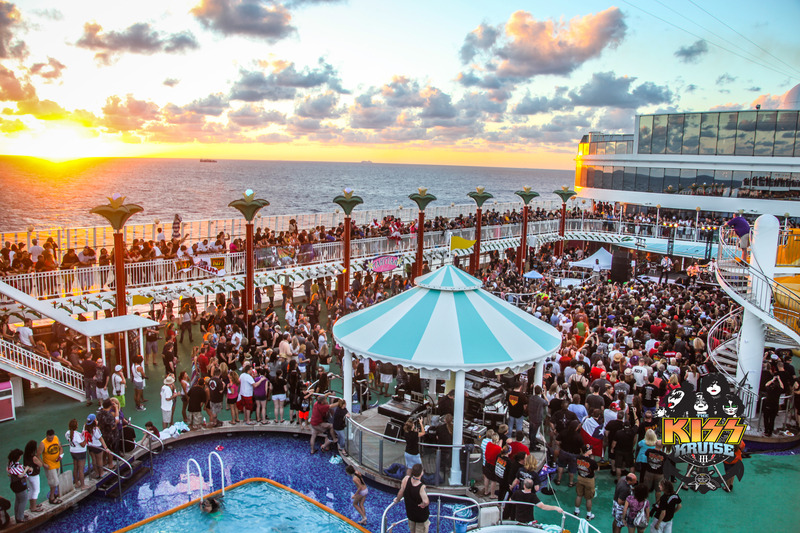 In addition to celebrating the impressive body of work that KISS has created over the past 40 years, KISS Kruise celebrates the bands of tomorrow. It’s not about nostalgia, it’s about the power and evolution of music, and its ability to unite fans from 33 countries for a week of pure bliss. I loved your review!!! I loved Vintage Trouble as well. However, I am very disappointed you didn’t share any video or pics of LEOGUN! They were in full support of Kiss’ last tour. I think they needed some more recognition than a filler note. Thanks, Tara! While Leogun was very good, I didn’t want my post to go on forever so I had to focus on my favorite new band and that was Vintage Trouble. However, Leogun rocked hard and I do recommend people check them out. Maybe I’ll write a separate post reviewing their album. Thanks, Bob! 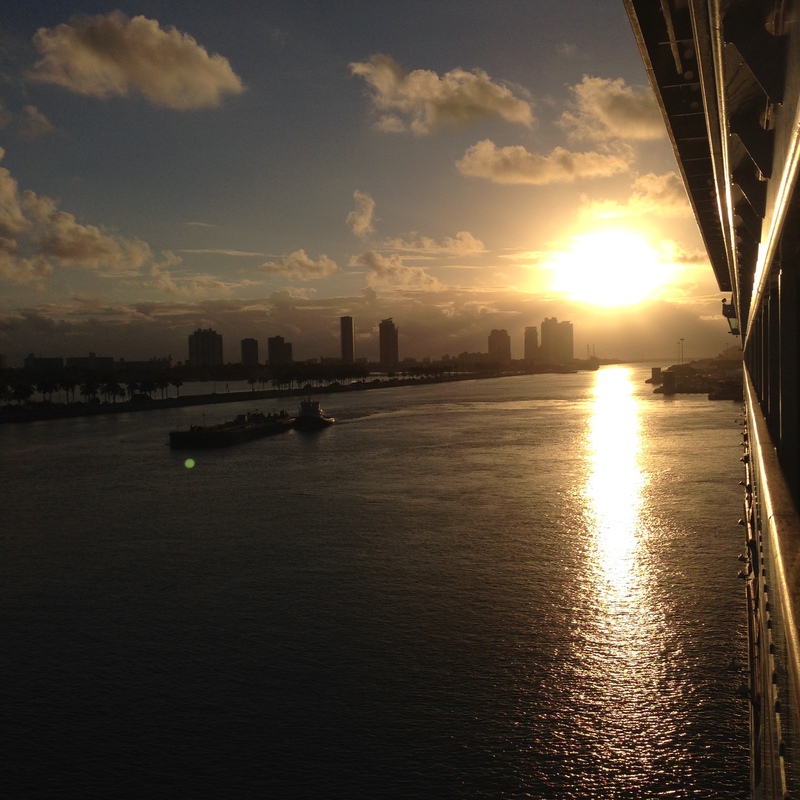 I’m looking forward to the next Kruise too. I have never had a chance to go on any of the KISS Kruises, so reading your review really gave me a taste of what I’m missing! Thanks for posting this! That pick throwing contest was crazy! It’s a blast. I’m going again this year, probably for the last time. I believe they’ve committed to doing at least five kruises, so try and make it on next year’s boat. You’ll have a terrific time.